On the 12th & 13th October 2016 the third annual world conference of the Middle East GCCM was held in Dubai and took place at the Raffles Hotel. The conference was organised by Carrier Community (exclusive global telecom-club for telecom service providers). 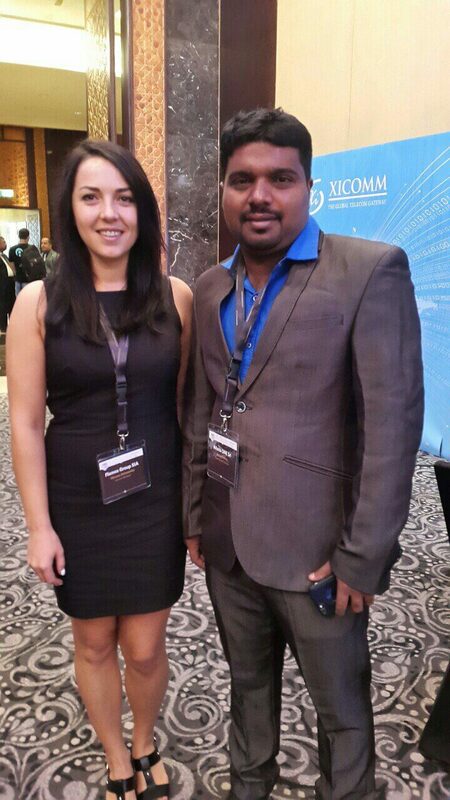 The representatives from Flames Group Oksana Antonenko and Yuliya Osadchaya had the chance to attend it. The purpose of this event was a meeting with existing partners and establishing business relations with potential partners. GCCM conference was attended by companies from 38 countries and delegates from 150 operators from the whole world. The specialists from Flames Group (ANTRAX)met the representatives and executives from the major telecoms, Tier1, Tier 2 and Tier 3 companies. They established new business, friendly relationships, and also laid the foundation for the start of the mutually beneficial cooperation in future. The conference organisation was at a high level. Our delegates had the opportunity to listen to some main speakers’ reports, take the part in its discussions, make some keynotes from their presentations and bring out the main and useful ideas for our company. Andreas Constantinides (Commercial Director at Yuboto), John Wimpole (Head of Carrier Enterprise Sales at Tawasul Telecom), Geert Fore (Director Capacity Trading at BICS), Stuart Evers (CSO at Türk Telekom International) were the main decision makers with their reports in the conference hall. The main sponsors of the conference became Bics, Apelby, Xicomm, Qatama, Nexmo, Turk Telecom, Verizon and other world-market-known companies of the world of telecommunications. With the help of meeting planner tool our representatives from Flames Group were prepared to the conference beforehand made appointment to partners whom they wanted to meet. It was allocated 30 minutes for each meeting: at this time we managed to introduce the company and ourselves, to find interesting business cases, to discuss cooperation conditions, to exchange contacts and to make several photos. Summing up the results, we brought many bright impressions, new acquaintances and useful contacts in the sphere of telecommunication where we work more than 10 years. We wish to have the chance to participate in similar conferences more and more and be always in the list of the leading voice traffic operators in the world! Did not have a chance to meet us at Middle East GCCM conference in Dubai?